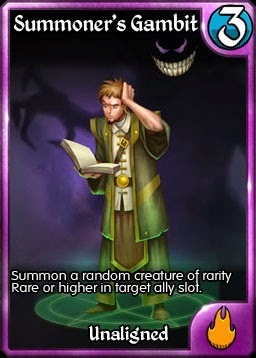 Legendary creatures are, by design, some of the most powerful cards in the game. They are balanced by the fact that you can only play one of each, and a maximum of four in a standard deck. For the longest time, the "top" Legendaries were pretty set in store: Diryam, Archmage Vul'Grath and Army of the Abyss. 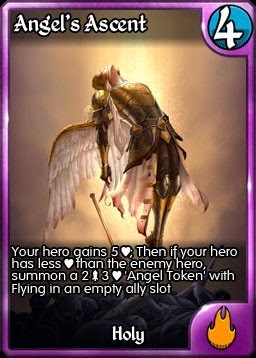 With the launch of Light Ascending, we were introduced to Elara, the mighty angel summoned by the Light Alliance to help drive back the forces of Dark. In game terms she was pretty mighty as well, granting 5 life and being impossible to simply destroy out of the way. In Descent of the Darkness, we meet the Demon that was raised by the Dark Alliance to fight Elara head on, and finally the decision of which Legendaries to use in your four slots just got a lot harder. Meet, T'rror, Ender of Days. We'll let that sink in a bit first. Upon entering play, T'rror rips 3 life out of every other creature on the board, including your own. In many situations this will clear the board, leaving T'rror as the only threat - and what a threat he is. When seeing T'rror, you will want to kill him. Now. Never before has there been a creature worse to leave standing. Every turn T'rror puts a 3/3 Flying Demon into play - and for the first time, these creatures will happily drop into corpse filled slots (perhaps Corpsecraft has its benefits after all). 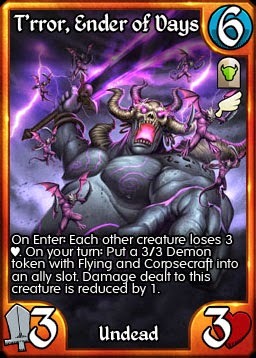 So killing T'rror is a must Thankfully T'rror is not as resilient as his Holy nemesis, and can be removed with Echo Blast, Smother, Kindle the Fury and other cards. Hopefully you're not relying on that Lightning Bolt is hand though, as both Magical and Physical damage are reduced by 1. Now both Light and Dark are without their champions and both Alliances are left to lick their wounds and plot their next moves. Note that doesn't say "from your deck". FUN!